See the light! Try fencing. Get a different view of life. 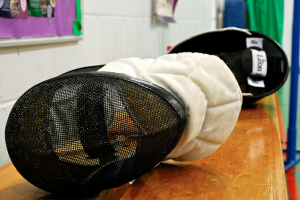 Fencing is an excellent exercise for body and mind – Escape the pressures of everyday life and work off that stress. It is good for your heart, your head and your physical health. It is, of course, an international sport and you can compete all over the country, and the world, if you wish! Fencing is Fun! Films use stage fencing for dramatic effect. 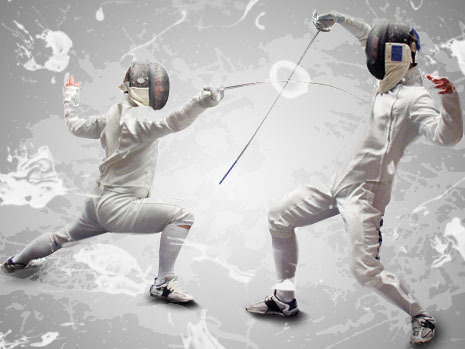 Modern fencing is based on efficiency of movement, stealth and tactics but is exciting and fun! Fencing is a Sport for All . We are a fully inclusive club for a fully inclusive sport. Fencing is A Sport for Life! We have fencers of all ages from 8 to 80, once learned, like riding a bike, it is not forgotten and many fencers come back to it if life has forced then to take a break. For me the break was 14 years long. Commit yourself to at least one term working with a qualified coach to master the basics of footwork, lunges, parries and ripostes. Don’t worry we will soon have you fencing against others; its the best way to learn! Why not consider our training course? What weapons do we use? Foil and Epee have a strong following at Blackheath. Sabre is not so strong nationally at the moment. However, there is an increasing number of sabreurs at the club just recently so if you like sabre come and wave it around and you will find another sabreur hiding behind his foil or epee! 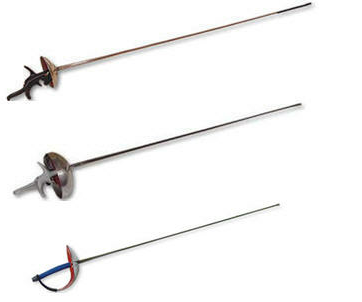 Beginners learn the basics with the foil (top in the picture) which is the traditional training weapon for the duelling epee (in the middle)… whilst the sabre comes from the requirements for a cut and slash weapon while sitting on a horse. The difference between the weapons is the target area and… well come and find out for yourself! Is it safe? Do I need Insurance? Equipment must be certified to European and international safety standards known as CEN. Simply, CEN1 is the minimum and CEN2 the higher level for certain activities such as electric fencing and national level competitions and above. All the club’s kit conforms to this. The CEN rating is all about the force required to penetrate the ballistic quality polyester material. Either 350 or 800 Newtons (that’s 35Kg and 81Kg/sq cm respectively). If you are wearing a CEN1 jacket and a CEN2 plastron (under-jacket), as required by the regulations, then that’s combined protection! However, the risk from broken blades is minimal. Once there used to be broken blades every week (with no problems). Advances in steel technology mean breakages are rare blades just go soft and become useless to fence with. Regulations require soft blades to be scrapped. What to wear? All you need are loose fitting trousers, such as track suit bottoms, and trainers. We provide the fencing kit until you are ready to buy your own. Coaches are registered with the BFA or BAF and insured through their schemes. If you’re over 50 and haven’t done any exercise for a while you may like to have a word with your Doctor first, just to make sure, but there is no age limit. Please note that, like boxing and other sports you fence at your own risk and we recommend that all our members join the British Fencing Association as this provides insurance cover and other benefits. You have to be a member to fence in competitions. There is wheelchair access and several disabilities can be accommodated within the usual safety limits. Do contact us for details.